After talking to many successful marketers over the years one of the things they all seemed having in common is that they all have their own products. About a month ago I was at a London lunch and I got chatting to Christopher John Payne about product creation, he mentioned in passing that he had made over $3 million from selling one of his information products, this is when I started taking notes…..
After much persuasion Chris finally agreed to do a video interview with me to reveal some of his secrets to product creation. So last Friday morning I got in my car and drove over to Woking where Chris lives, this took me about an hour and a half but it was worth it because during the interview Chris revealed some fascinating information about product creation. unlock the great ideas, stories and knowledge that’s in your head that you didn’t know was there!! Don’t delay: go there right now before Chris starts charging for these! Thank you Chris and Sarah – this is a really useful interview. Great content, and inspirational. Thank you both so much for sharing your knowledge! Thank you, Mark, for your kind words. I checked out your website: you’ve done some excellent stuff: 2 comedy books, and an Edinburgh Fringe Show over 2 seasons. I’m very impressed! A very big thank you. I already am linked to you Sarah, and i would like to be in contact with you Chris. 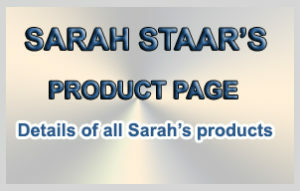 I am over 76 years old and still full of energy and i really do want to make a start with online marketing..
Hey Sarah , content rich video as always, excellent. Will use CJP’s advice as this has cleared some of the blockages i’ve encountered with product creation. Oh and can we see the outtakes or are they on the cutting room floor…Sort of youv’e been framed for the IM niche, now theres a product. You can get in contact with me via my website: http://www.christopherjohnpayne.com. You’ll find various articles and videos there which I’m sure will help you move further forward. Good for you that you are so full of beans at 76. I wish you all the very best with your online marketing career: it’s a lot easier than people realise: get clear which audience you want to reach; find a problem or 2 they want solving; solve it for them; and use one technique at a time to get people to visit your site. Those steps will get you going. Chris is very enthusiastic, and practical-minded, great interview has given me some useful tools to take away. It is amazing how you can learn from these encounters as long as you are open to the information, and know the ‘code’ being spoken. Thanks a lot! @Jerry Lyon: I’m glad our video has helped clear some of your blockages. I think she recorded 4 takes of the introduction, leaving the cameras rolling. I agree with you: there is a product there. 🙂 I’ve kept most of the outtakes for my videos. I’m working on a product to show how I create the short 3-4-minute videos on my site so you can see how rough they are at the beginning, then I re-record them to make them better. @Michael Gorman: thanks for your kind feedback. Thanks too for contacting me directly and asking me questions: it’s my pleasure to help you move forward with your internet marketing business. Chris is the real deal. Chris’s approach has inspired me to develop product. More importantly I’ve worked with Chris on two products in an in-depth way. Both products have made me thousands and he has made me realise the power and profits available. One email in January this year generated £3,000 in net profit from product sales whilst I was on holiday! I’ve realised it pays to act on what Chris suggests. Great insights into product creation! Worth a watch, a great start to help inspire you. Thanks Chris and Sarah. Brilliant video. Great to get insights from an expert in the field like Chris Payne. Some great ideas here – well worth viewing! Excellent video. Held my attention all the way through, no hype just good information. I know Chris well but this is the first time I’ve seen Sarah. Don’t they work well together; what you see is what you get. Sarah seems to get right the heart of what Chris does and make him comfortable. Chris just talks clearly speaking, simple common sense. 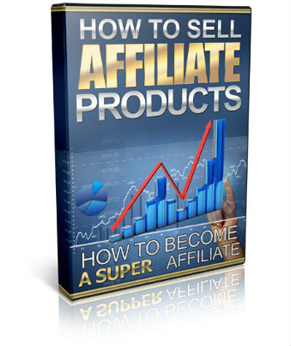 It makes internet marketing sound so easy, that I begin to think even I could do it. Now don’t get carried away Marcus, remember, you’re a serious and respectable financial adviser. Trust is your medium. You can’t do this. That’s what I told Chris, but miraculously he got me up in front of a video cam and recording my stories. Maybe one day soon we’ll even publish it on my website! Thank you for your help Chris. Great interview Sarah. I’ll look up some of your other interviews now and see who else you’ve managed to meet.